Sam graduated from the University of Melbourne with a Bachelor of Veterinary Science (Hons) in 1993. He moved to the UK and became a Member of the Royal College of Veterinary Surgeons in 1994. During 17 years in private veterinary practice Sam worked in Northern Ireland, England and Australia. This included clinical roles in rural mixed, equine and dedicated small animal practice. Sam was a Veterinary Associate at the Narre Warren Veterinary Clinic and Senior Small Animal Veterinarian at the Cardinia Veterinary Centre in Pakenham. He joined the Australian Army Reserve in 2003 and graduated from RMC Duntroon as a part-time Officer in 2005. Sam completed a Certificate IV in Training & Assessment to teach veterinary nurses at Box Hill Institute in 2009. He went on to become Head of Veterinary Nursing, SE3 Head of Animal Sciences then Acting Centre Manager for Biotechnology and Animal Sciences and now the Head of School in Health Sciences. Sam has a passion for team work and commitment to continuous improvement. He developed the Diploma of Veterinary Nursing (General Practice) and participates in a number of provider networks and industry reference groups. Sam aims to provide quality vocational education and training for students seeking rewarding careers in Health, Science, Animal Care, Hairdressing, Beauty, Floristry, Horticulture and Conservation Land Management. He leads a dedicated team of educators to deliver real training for extraordinary results. His staff comprise experienced nurses, theatre technicians, scientists, veterinarians, animal technicians, dog groomers, hairdressers, beauticians, florists, horticulturists, early childhood educators, community service and disability workers. They teach work skills and ensure practical outcomes through a combination of classroom, work based and on-line training reinforced by rotation through our training workplaces, simulation wards and clinical / work placement with our industry partners. Winner CEO Award for Professional Excellence 2010, Box Hill Institute Staff Achievement and Recognition Program. Sam led the inaugural Outward Bound VET Mobility, Animal Sciences Study Tour of the UK and Ireland for Box Hill Institute 2012. Having a passion for wild animals, Heidi Wenk pursued a career in the captive animals industry. Gaining employment in the zoo industry then, as now, was highly competitive so Heidi strengthened her position through volunteer work with Melbourne Zoo and by completing a Bachelor of Science at La Trobe University. Heidi’s volunteer work saw her transferring all of the zoo’s paper based animal records to an international, computerised database. Heidi’s ultimate goal was to work as an animal keeper in the zoo and this was achieved in 1989 when she secured a contract position with the Native Mammal Department. In 1990 Heidi gained a permanent position in Melbourne Zoos Primate Department. Career highlights for Heidi include being second-in-charge in the Primate Department from 1993 – 2002, being seconded for 6 months to the Native Mammal Department as second-in-charge and being one of the primary carers for Melbourne Zoos baby gorillas. From here Heidi’s interests turned to training future zoo keepers and led her to joining Box Hill Institute’s Biotechnology and Animal Sciences team, where she coordinates the Certificate III in Captive Animals. Heidi also has a passion for sustainability, which sees her providing this training to students in a range of courses within the Centre. Heidi aims to provide quality vocational education and training for students seeking rewarding careers in animal industries. She works within a dedicated team of educators and industry partners to ensure our graduates are job ready. Heidi is particularly interested in seeing sustainability become an integral part of all her students’ and colleagues work, home and life choices. 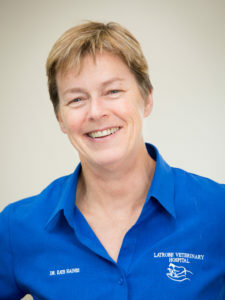 Dr Kate Haines graduated as a Veterinarian in 1984, and worked in mixed practice in Australia and the United Kingdom. 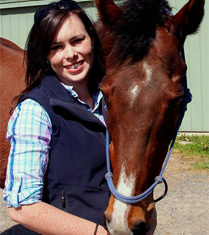 In 1994 Kate attended her first equine chiropractic course and pursued animal chiropractic skills while in practice, but she was highly aware of the need for formal qualifications. She completed the inaugural RMIT University Animal Chiropractic Graduate Diploma course as equal top student, and then was the world first to complete a Masters Degree in Animal Chiropractic, including the thesis “Relationships between Mobility of the Lumbar Spine and Pelvis, Exercise Induced Lameness and Performance in Endurance Horses”. Kate Haines is the sole proprietor of an 8 vet small animal veterinary practice, but the vast majority of her own work is now animal biomechanical medicine in nature, seeing both horses & small animals. She was a principal lecturer in the RMIT Animal Chiropractic program, has presented at Equitana, and at workshops run by the PGFVS and Equine Veterinarians Australia. She has served numerous periods as secretary & board member for Animal Biomechanical Professionals Australia (ABPA), previously Australian Veterinary Chiropractic Association (AVCA). 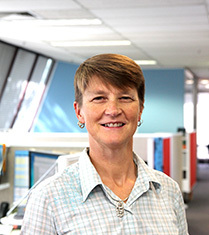 Kate Haines was the driving force and course writer during the accreditation of the GDA81 course, harnessing significant input from many members of ABPA, and was central to negotiations for delivery in partnership with Box Hill Institute. She currently acts as course co-ordinator at the ABPA end of the partnership. Dr Kim Lim graduated in Veterinary Science with honours from the University of Melbourne in 1990. She has worked in general practice in Melbourne, Portland and Canberra. Kim became a Certified Veterinary Acupuncturist in 1992 and received her Master of Animal Chiropractic from RMIT in 2003 upon completion of the research thesis titled ‘The effects of long toenails on stifle and elbow conformation’. Since 1996 she has worked solely in integrative, complementary medicine including animal biomechanical medicine to treat her canine patients. Kim also treats cats and the odd llama or two. Most of her patients seek her help for musculoskeletal problems. Neurological problems and epilepsies also respond well. Kim has a passion to discover new techniques to help her patients. 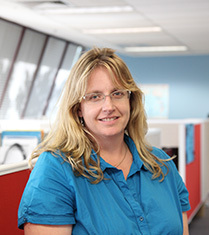 On completion of her Master’s degree, she became involved in the teaching of the RMIT Animal Chiropractic course from 2002 to 2009 and is currently an integral part of the team that delivers the Graduate Diploma in Animal Biomechanical Medicine course at Box Hill TAFE. Kim has been active in the Geelong Branch of the Australian Veterinary Association (AVA)since 2008 when she was the secretary and treasurer followed by the position of president in 2009 and 2010. Kim has presented lectures and workshops at the AVA annual conferences as well as at veterinary meetings overseas. Rebecca graduated from CSU with a degree in Equine Science in 2006 determined to pursue a career in equine nutrition. Bec taught equine nutrition at NMIT in Melbourne in their diploma and degree programs for a number of years before joining the KER team in 2014. Bec owns a 20-acre horse property and in her spare time is a dressage rider, equine sports therapist, EA and PCAV coach. Samantha is a 2* eventer, who, in breaking with eventing tradition, also competes in pure dressage with her mare Fendi F.
Sam is a registered NCAS coach, has trained in Europe in dressage and is also a successful eventing groom having worked at international level both in Australia and Europe, her portfolio includes WEG 2006, Burghley and Adelaide International horse trials as well as Melbourne International horse trials where she has been the recipient of the grooms prize. She is passionate about rider biomechanics and understanding the effect of the application of the riders’ aids on the horses way of going. She also has a strong focus for management of elite horses and riders from a health, nutrition and mental well being perspective. She balances her 3 competition horses with teaching Equine and Business studies at Box Hill Institute, as well as coaching riders and schooling horses from Spring Creek Farm. Having gained a position as a veterinary nurse while enrolled in Certificate IV Animal Technology at Box Hill Institute and volunteering at the RSPCA, Belinda Marchbank decided that undertaking a Bachelor of Science (Animal Science) was a challenge that could help her decide where exactly in the animal industry she would like to forge a career. Once she had completed her BSc it was too late to change, Veterinary Nursing had become her passion. To become qualified she studied her Certificate II Animal Studies with AIRC in 2003 and then competed her Certificate IV Veterinary Nursing training with BHI in 2009. After many years in small animal practice as a senior nurse she developed an avid interest in the training and mentoring of young veterinary nurses and went back to BHI to gain her Certificate IV in Training and Assessment in 2010. As she was studying this she accepted a supervisory role at the Pets on Elgar Veterinary Nursing Training Practice and then accepted various casual teaching positions throughout the Centre for Biotechnology and Animal Science. In 2011 she became a contracted member of staff and now coordinates the Veterinary Nursing Trainees and teaches within the Certificate IV in Veterinary Nursing. Belinda aims to provide quality vocational education and training for students seeking rewarding careers in the veterinary and related animal industries. She works within a dedicated team of educators and industry partners to ensure the delivery of excellence in veterinary nurse training. Belinda would like to see a continuation and development of the face to face delivery of veterinary nurse training to provide students with the best possible education. Winner SARP Award, Employee of the Year 2013, Box Hill Institute Staff Achievement and Recognition Program. Belinda is working towards the implementation of a Clinical Skills Laboratory for On Campus practical training of clinical skills for veterinary nurses. Assistant Tour Leader – Animal Sciences Study Tour of the UK, Box Hill Institute 2013. Christina Ramsauer began working as a veterinary nurse in 1987, completing the Advanced Certificate in Veterinary Nursing in 1988. Throughout her career, Chris has always been in small animal practice and has also worked with dairy cattle in Europe. Since her original studies in veterinary nursing, Chris has updated her qualifications to the Diploma of Veterinary Nursing. 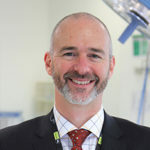 Chris started sessional teaching at Box Hill Institute in 1990 and has worked across the Animal Sciences and Veterinary Nursing Departments becoming a full time member of staff in 2008. Her roles have included: Senior VN/Practice Manager Pets on Elgar, Course Co-ordinator Veterinary Nursing and Cert III Animal Studies. 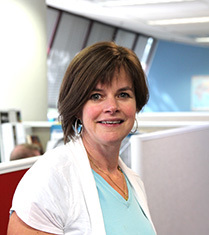 Chris now spends her time in the classroom passing on her vast experience and knowledge to students. One Chris’ passions are her dogs, her Papillons are often seen during consultation rounds and on some of the Box Hill Institute brochures. Chris is currently studying to be a Conformation Dog Judge with Dogs Victoria. To make veterinary nurses the best they can possibly be by providing practical and interesting learning environments for her students. Together with Belinda Marchbank, Chris has created and expanded a Clinic Skills Lab for students to gain practical experience during their training and beyond.